You’ll be able to quickly see the sold count and watchers to identify items that you can sell yourself. 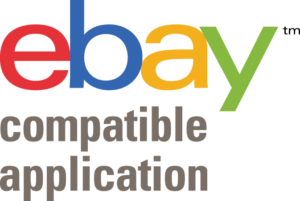 Once you’ve found the items you want to sell, you can automatically upload these directly to your own eBay account. Profit Scraper clones images, description, product identifiers such as model numbers/UPC codes too! Every 45 minutes, Profit Scraper will automatically check for stock/price changes on the supplier’s website and then update your listings on eBay automatically. As well as this, if you sell an item (making you out of stock), Profit Scraper will update your item back to In Stock within 10 minutes! Profit Scraper will allow you to bulk upload all your chosen items directly to your eBay account with a couple of clicks. This will save you a HUGE amount of work. The imported items will contain a title, description, item specifics, photos as well as your shipping and returns information. You can optionally use our full auto ordering system to place the order on the supplier’s website within 10 minutes of the order being placed on eBay. Our software can also automatically mark your items as dispatched in eBay and leave positive feedback for the buyer.. all hands free! Auto ordering is currently available for Amazon only and costs 15 cents per order processed. Easily view sales and performance figures such as costs, fees and overall profits by day, week or month. Also view reports on historic price/stock updates, bulk uploads, Auto Ordering and more. We also include a powerful and unique Listing Conversion Report to help to track which listings are converting better so you can increase the profit margin of winning listings and delist poor performing listings! Profit Scraper includes eBay account protection. This means that if another user of ProfitScraper tries to search for your eBay listings, the tool will display an error message telling them that they cannot search that eBay seller because their account is protected. Also to help protect your eBay account we have an internal VERO database so every time you upload items to eBay using Profit Scraper, we can check the brand of the product to ensure it’s not part of the eBay VERO program. As well as this you can also block certain keywords if needed too! Comprehensive Training Videos , Knowledgebase & 1-1 Sessions! All customers have full access to our comprehensive video training library as well as a knowledgebase and customer help desk. Not only this but we also offer FREE 1-1 sessions for members who would like our experienced Customer Happiness Specialists to look over your account for you. An extremely popular and supportive private Facebook group with a treasure trove of tips, tricks and golden nuggets to help fast-track your dropship business success! Q.What countries are supported by Profit Scraper? 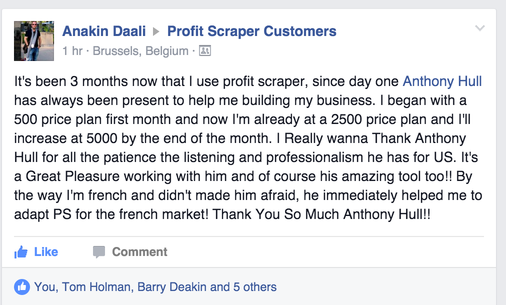 A.Profit Scraper currently supports USA, UK, Canada, France, Germany and Italy. You can use the eBay arbitrage method worldwide. 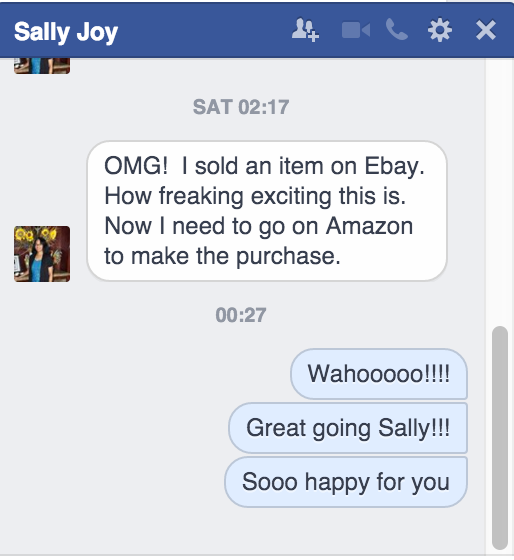 So if you live in the UK, you can list items on eBay UK and eBay USA and even other countries. It doesn’t matter because the location of the items are in the supplier’s warehouse (e.g. Amazon), so you just use the supplier website where your customer lives and send the product directly to them! Q.Will other members clone/copy my own eBay account using your software? A.No! Profit Scraper has a built-in protection mechanism which you can use as long as you are a member. If any other user tries to enter your eBay ID into Profit Scraper, it won’t let them search your listings. Q.Do You Offer A Free Trial Or Refunds? A.We offer a $1 trial for 14 days so you can try our service without any limitations. Then if you decide to continue, you will be billed the full cost of your membership option on the 15th day (so 14 full days of access for just $1). Due to the nature of our service, we do not offer refunds. Q.Won't eBay customers be annoyed if they see that item they bought came from Amazon and was cheaper? A.No, because when you order the customer’s item from Amazon, you choose the “send as a gift” option. Amazon will then ship the order without any mention of the price. 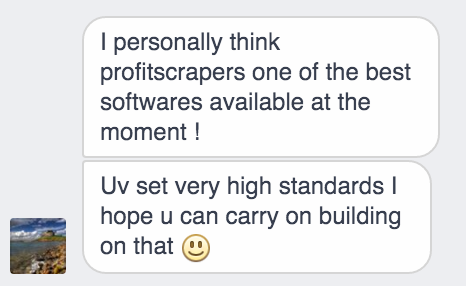 Q.Can Profit Scraper monitor prices on Amazon and update my listings on eBay if they go up? 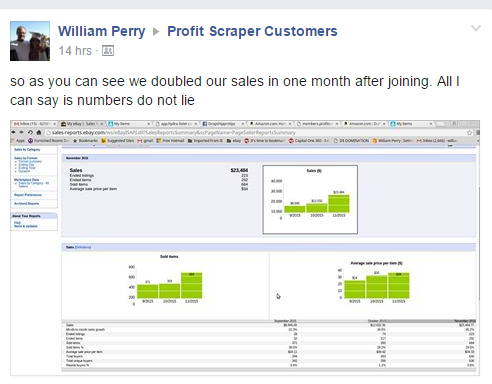 A.Yes, Profit Scraper has built-in price and stock monitoring available for all members. We have different priced membership plans based on the amount of listings that are actively being monitored. 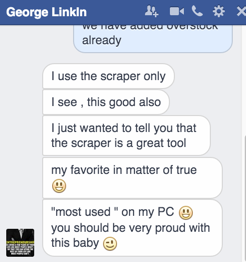 Stock/prices are checked approximately every 45 minutes. Q.Can Profit Scraper upload items directly to my eBay account? A.Yes, any hot selling Amazon items that you find with Profit Scraper can be instantly uploaded directly to your eBay account. All information such as product title, description and photos will be copied across in seconds without you lifting a finger and will result in the listings being created directly in your eBay account ready for selling immediately. Not only this, but if you find Amazon items outside of Profit Scraper that you want to list, you can simply copy the Amazon product code (ASIN) or URL and paste this into our software and list these one by one or in bulk – the choice is yours. Q.Will eBay or Amazon ban my accounts? A.This is a common question from people getting started with dropshipping. The simple answer is no, as long as you follow some simple rules. For eBay, they actually support dropshipping from Amazon and if you call and ask them, they are fine with it, as long as you keep your account in good standing, ship on time and have good feedback. For Amazon, if you are a prime member, then you should ship items using the 3-5 day shipping option or ask them for a reseller/business account. You should never post items using a next day or 2 day service if you have an Amazon prime account because they will eventually close your account. Q.How many sales can I make a day with dropshipping? A.Most dropshippers would sell on average around 1% of their inventory per day. So that means if you have 100 listings you should expect to sell 1 item per day. If you have 10,000 listings, then you should expect to sell 100 items per day. 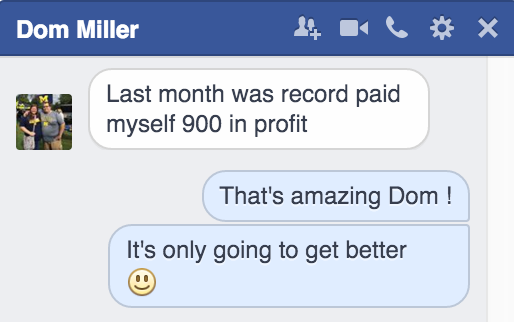 Average profit per item is $2-$3 if dropshipping from Amazon and to be competitive. The aim of this business model is to build up your listing limit on eBay each month. You can call them and usually double (or near enough) your listing limit each month, as long as you are dispatching items on time and receiving good feedback from customers. You will achieve better results if you spend time editing your listing’s titles, descriptions and if you have an eBay account with top seller status (Top Rated Seller) as eBay will give you a bump in their search results and a discount on fees too. Q.Do I need an eBay shop in order to use Profit Scraper's price/stock monitoring? A.Yes you need a shop because your listings must be set as Good Till Cancelled so that we can set your stock to 0 if the item goes out of stock on Amazon. You should also have the setting in your eBay selling settings to use the Out of Stock option for this reason. Q.Do you offer an affiliate program? A.Yes, we offer a very attractive affiliate program which pays 20% recurring per referral (not including trial members). Please see this page for details. Q.Do you offer Auto ordering? A.Yes, we have full eBay -> Amazon auto ordering available for just 15 cents per order. 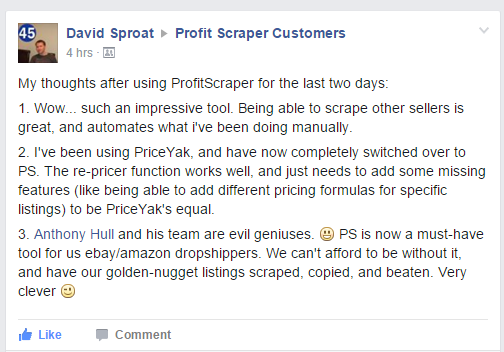 Profit Scraper Ltd is not affiliated or endorsed by eBay Inc or Amazon Inc in any way. Whilst every effort has been made to accurately represent our products and their potential there is no guarantee that you will earn any money using the techniques and ideas in these materials.Examples in these materials are not to be interpreted as a promise or guarantee of earnings. Your use of Profit Scaper is entirely at your own risk and we will not be held liable for any losses that may result from using our software.